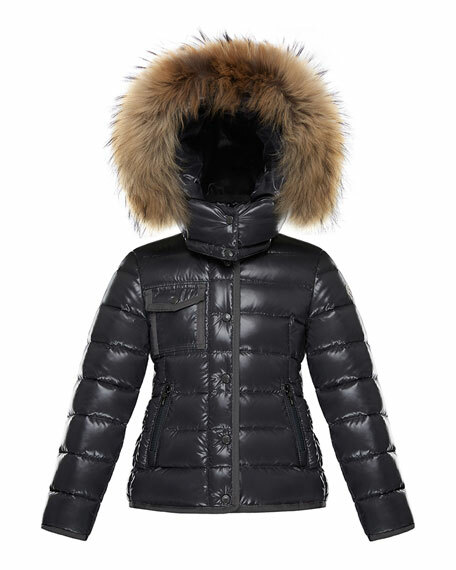 Moncler "Armoise Mini Me" quilted coat. Hooded collar with dyed fox fur (Finland) trim. Flap pocket at right chest. For in-store inquiries, use sku #2334545.